Brazilian midfielder Fred got a rare start in Manchester United‘s Champions League Group H encounter over Young Boys on Tuesday. The former Shakhtar Donetsk midfielder was substituted in the second half, before United sealed the match 1-0 in injury time. The player was expected to do some great things since his big-money move to Old Trafford earlier in the summer. But his performances have been inconsistent, which have resulted in him falling down the midfield pecking order at the club. But despite the game-time, the Brazilian has no issues with manager Jose Mourinho. Post the win over Young Boys, the midfielder was quick to note that Mourinho can make good substitutions, and is a great coach. “Always at the end of the game we win, he can switch (make substitutions) well,” Fred told Esporte Interativo. There have been many reports that players aren’t playing for Jose, and that the Manchester United dressing room is unhappy with his methods. But Fred’s comments show that things are far from the supposed claims. Fred has made just 10 appearances for the club since his move, having scored one goal in return. 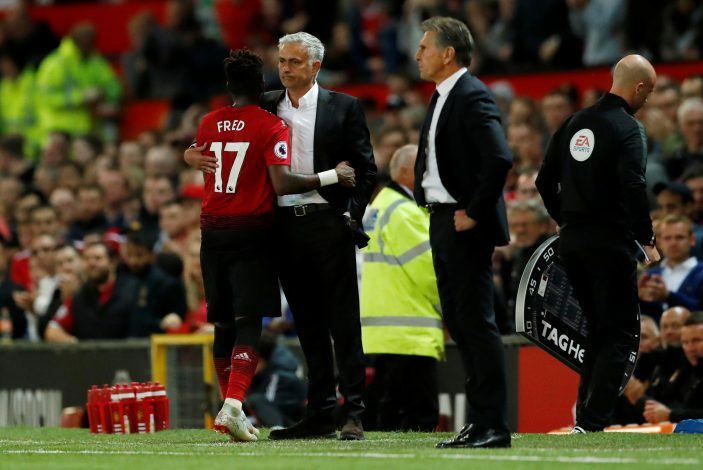 This is just his first season in England, and one will hope that everyone gets to see the actual Fred, who mastered the midfield in Ukraine, in the months to come.